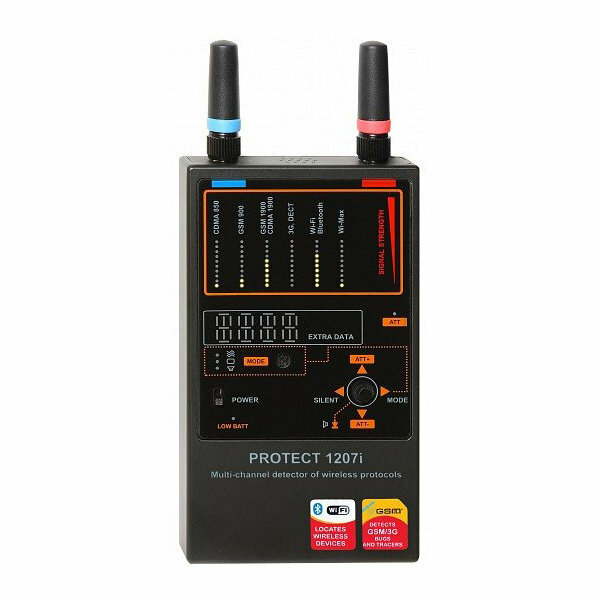 Designed as a Smartphone and GPS detection devices the DD1207 offers highly sophisticated portable detection in an easy to operate handheld scanner. Capable of detecting the most common digital cellular frequencies, the system offers the ability to adjust the antenna sensitivity while either scanning the entire frequency spectrum or simply scanning one spectrum at a time, such as GSM. 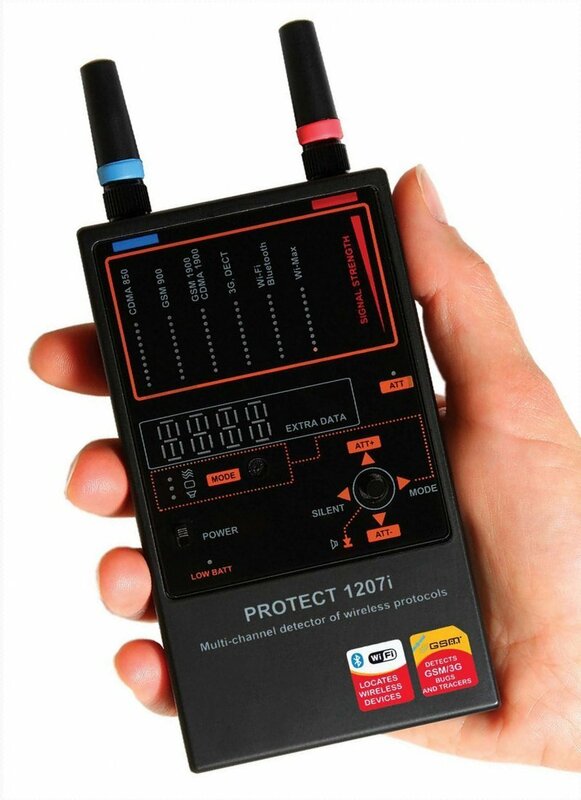 iProtect Premium handheld device. Easily know exactly what you frequency you have detected! The best in class handheld countermeasure TSCM sweep unit iProtect!